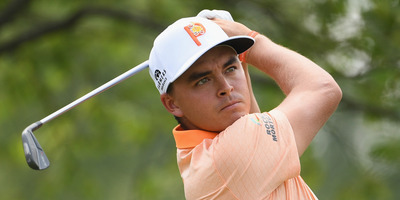 Ross Kinnaird/Getty ImagesRickie Fowler has been one of the best players in golf for almost a decade, but fans are still waiting for him to break through with a major win after falling just short time and time again. While Fowler still has plenty of great golf ahead of him, if he doesn’t win a major soon, the pressure will start to build exponentially. While Woods and Koepka were undoubtedly the stories of the day, heading into Sunday, it was entirely possible for another long-awaited story to finally be written, with Rickie Fowler just three strokes off Koepka’s lead after three rounds at Bellerive. But instead of making a Sunday charge, Fowler posted a modest one-over in his final round to finish the tournament tied for 12th. For most golfers, this result would be seen as a hugely successful weekend, but Fowler isn’t most golfers, and his finish on Sunday only added to a long list of close calls on the biggest stages that have marked his career. As soon as he went pro, Fowler instantly became one of the most exciting players to watch on the Tour. With an aggressive style, cool demeanour, and his distinct orange Sunday get-up, it was easy to think he could soon become one of the best players in the sport. He rose quickly, and after his first PGA win at the Wells Fargo Championship in 2012 at just 23 years old, it seemed inevitable that he would soon be a major champion – it was only a matter of when he would break through. 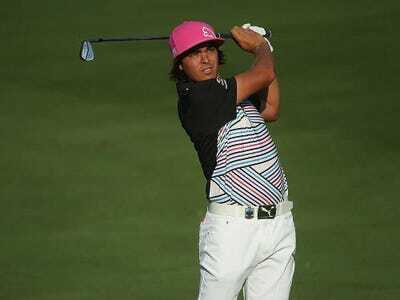 Getty ImagesA young Rickie Fowler. Folwer came close during the 2014 season, finishing in the top five of all four majors, including tying for second at both the British Open and U.S. Open. Again, golf fans took this as a sign that Fowler was just a few more chances away from taking down a major. But four years later, he’s still looking for his career-defining win. Frustrations at majors can come to define chapters of certain players careers. Phil Mickelson needed 42 majors as a pro before finally donning the green jacket. For Sergio Garcia, it was a whopping 70 major starts before he got his win at Augusta in 2017. Should Fowler soon get his first career major win, it will be seen as a similar triumph – one of the most deserving players in the sport finally shining on the biggest stage. But those frustrations, if never put away, have another side. Lee Westwood, once the top-ranked golfer in the world, has finished in second or third at all four majors but has never been able to take home the top prize. Now 45, his chances of ever doing so are rather slim. Westwood is one of the winningest golfers in the history of the sport, but when it comes to major victories, it’s likely he’ll finish his career as one of those players that could never reach the mountaintop. Fowler’s recent play gives reason to believe that he’ll break through, and soon. He is a phenomenal major player – one of just 11 players in golf to make the cut at all four majors in 2018, and finishing just one stroke behind Justin Rose for the lowest combined score at majors this year. Dating back to 2016, he’s one of only two players to make the cut at ten straight majors and has finished in the top 12 at five of them. For now, Fowler still has plenty of time to get his major, but the days of him being a bright player of the future are over. He’s now a seasoned vet, expected to compete near the top of most tournaments he plays in, and a new crew of young players – Jon Rahm, Tommy Fleetwood, Bryson DeChambeau, and more – are now nipping at his heels to get their first wins and breakthrough the way so many predicted he would. It was once inevitable that Rickie Fowler would win a major. Now, while it still feels likely, the pressure mounting. His career will eventually be defined beyond his aggressive shot selection, impressive putting, and Sunday colour choices – either by the major he finally wins, or the one he never does.